To celebrate the launch of their 2015 Memphis range, Gibson are hosting a one-off, not-to-be-missed event at their plush London showroom, and we have 10 pairs of tickets to give away. 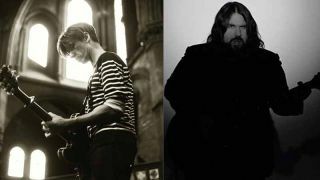 Bernard Butler and Romeo Stodart of the Magic Numbers will be performing to an elite, invite-only crowd, and you could be there. To be in with a chance to win a pair of tickets, simply like MusicRadar on Facebook and leave a comment below with one song that your dream set-list for this gig would feature. The gig takes place on Tuesday Feb 24. We'll pick the winners at random on Feb 18 and contact them by Facebook message. Winners must provide a UK postal address. Future's normal T&Cs apply.